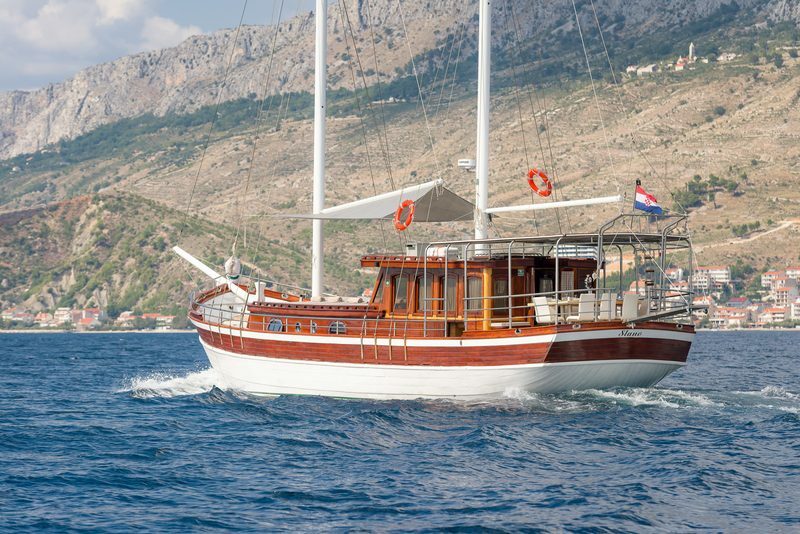 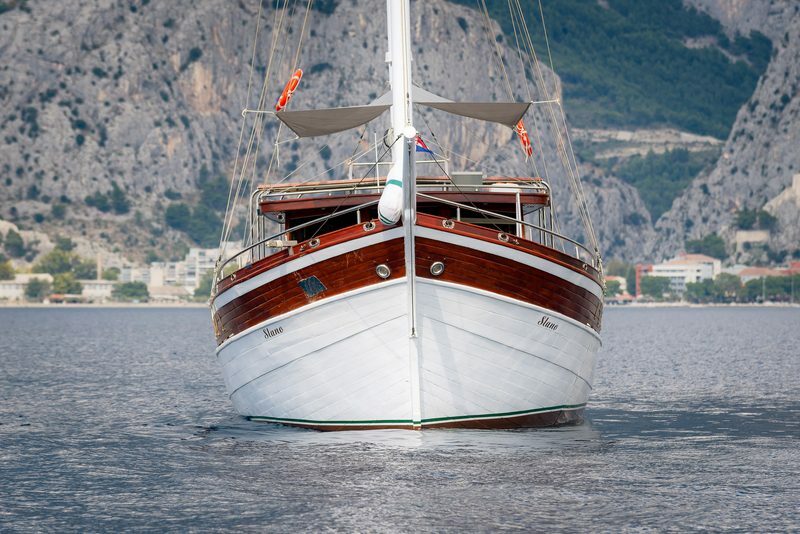 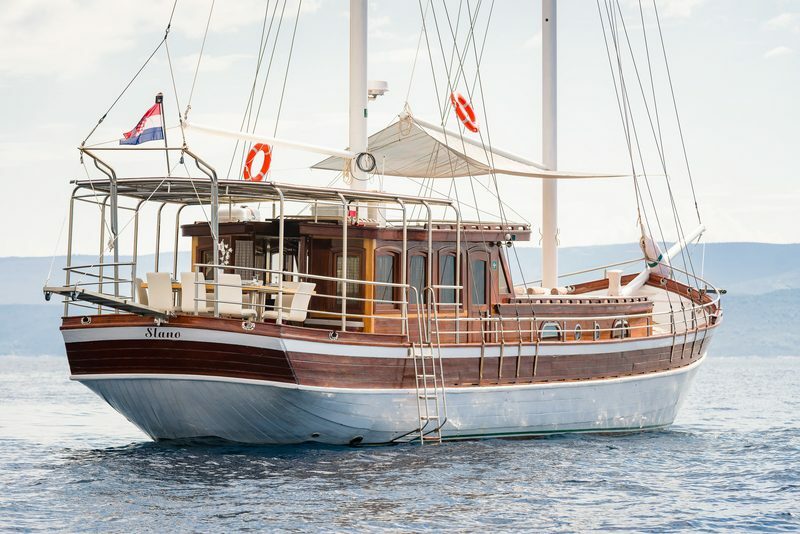 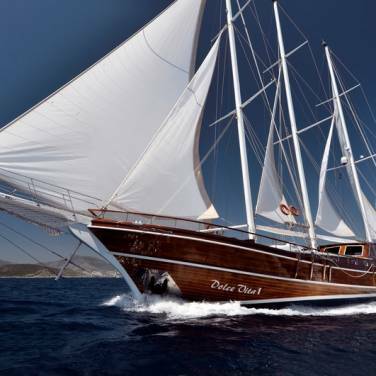 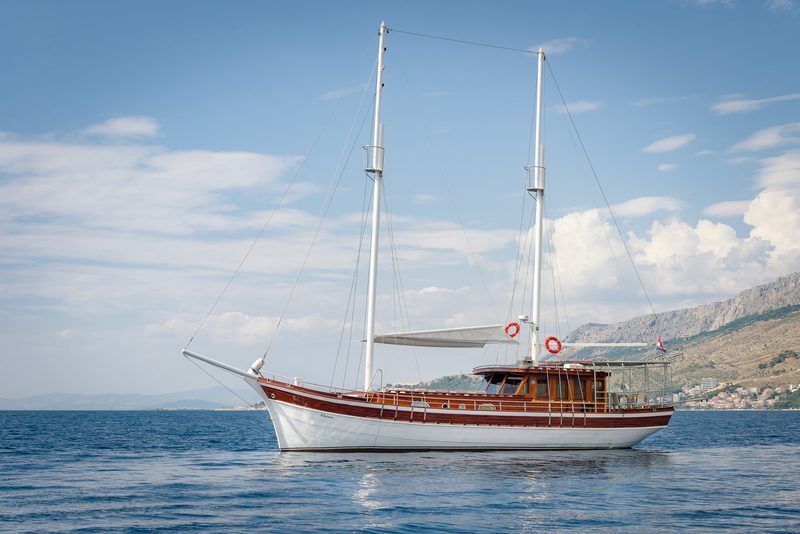 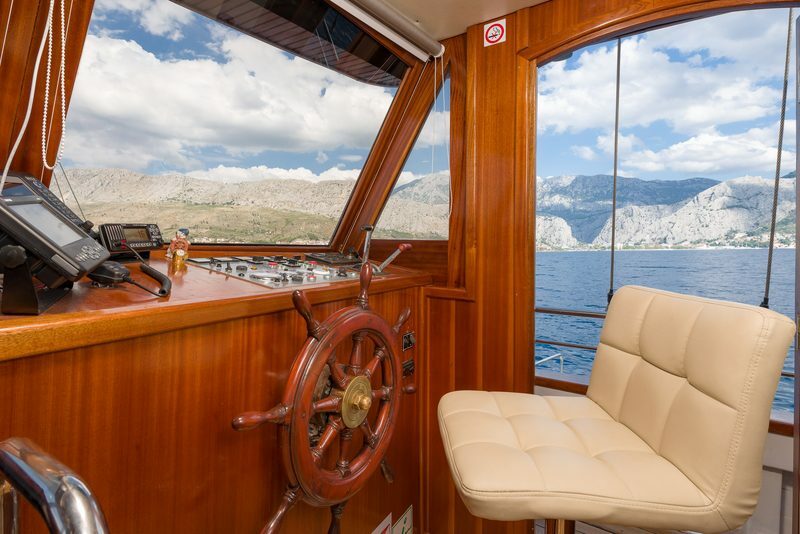 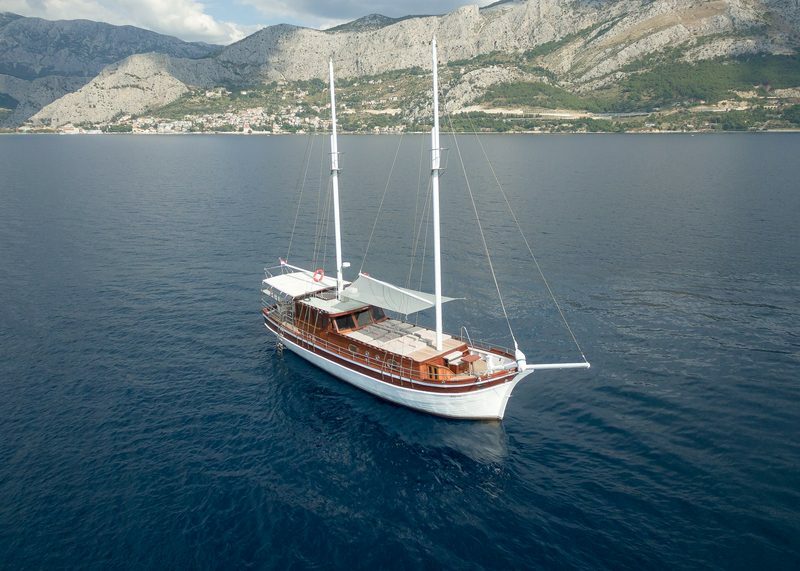 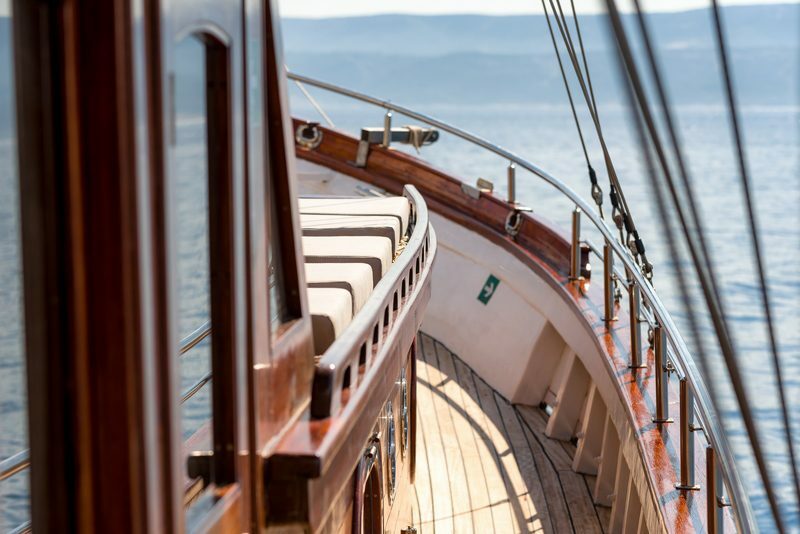 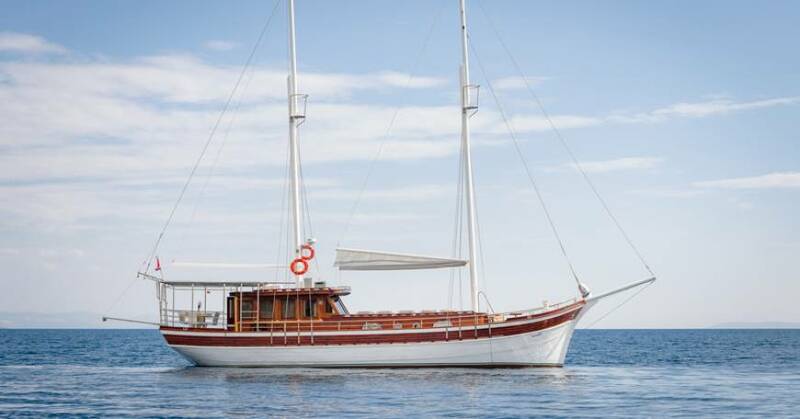 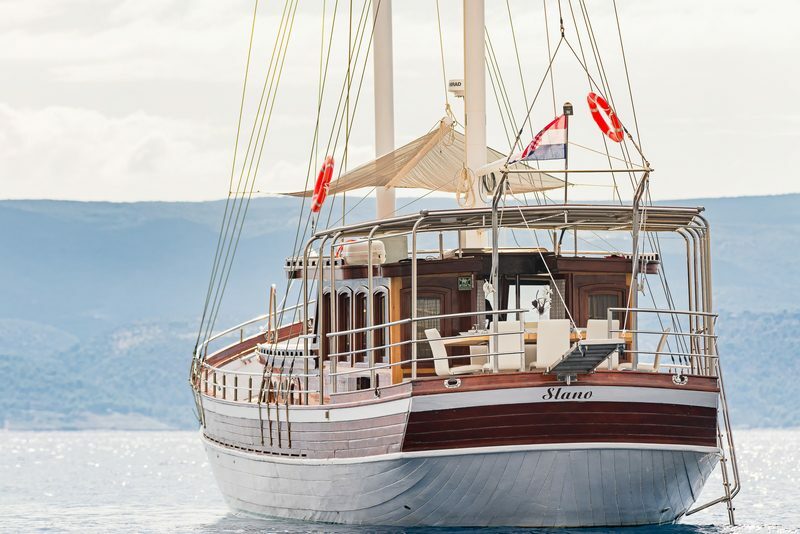 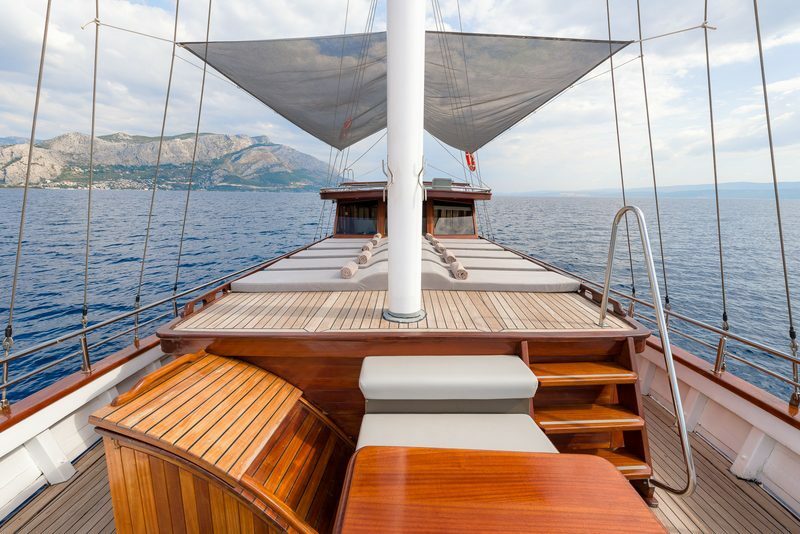 Gulet Slano is a traditional Croatian motor sailer with a beautiful wooden hull and enough space to accommodate up to 10 charter guests. 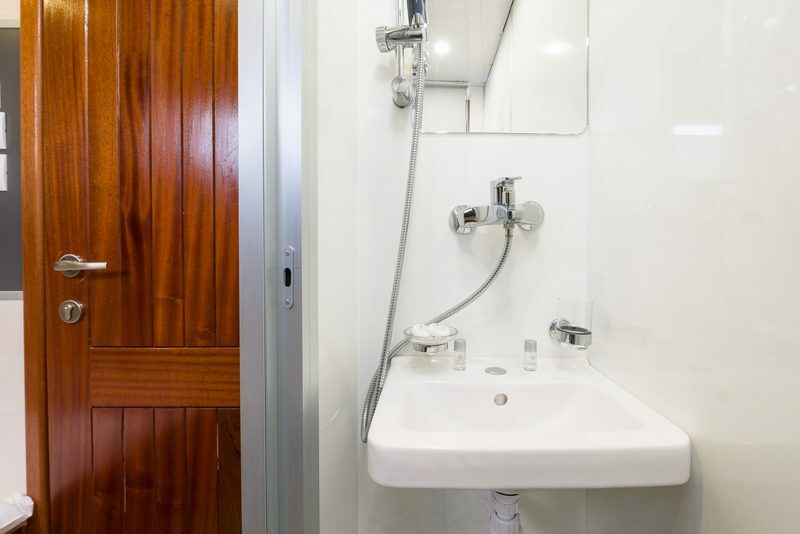 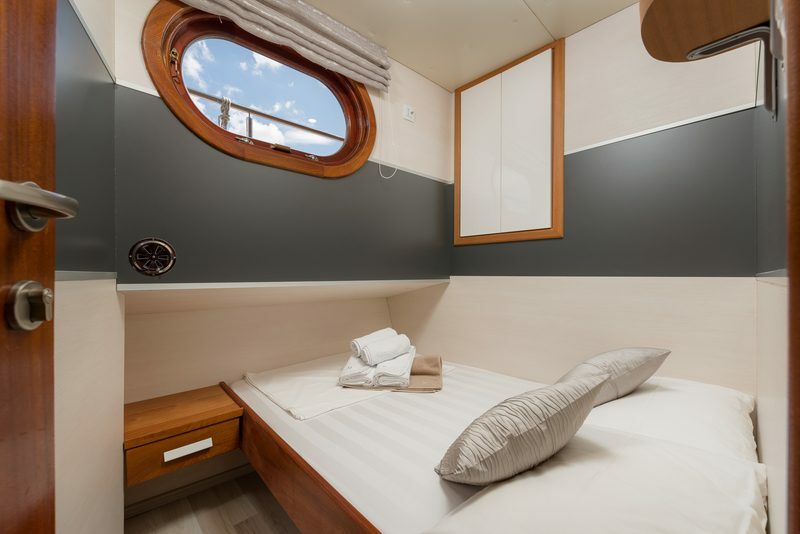 There are 4 double bed cabins and 1 twin cabin, each with air conditioning and private bathrooms. 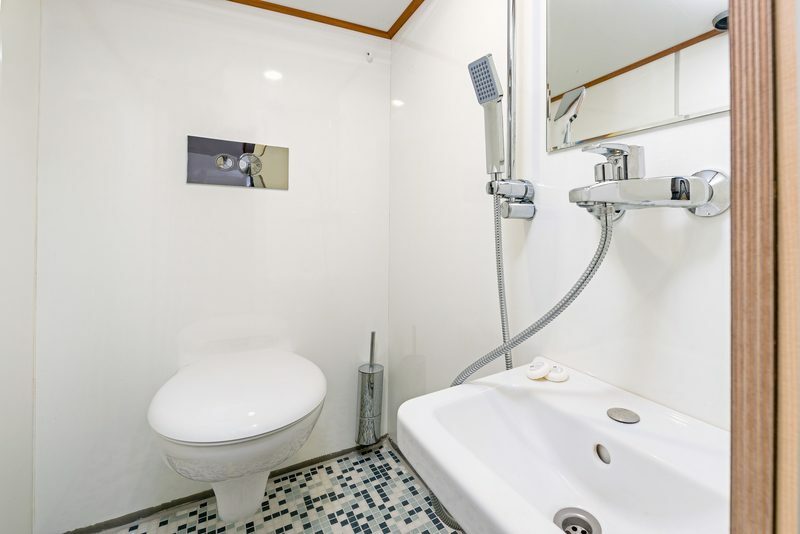 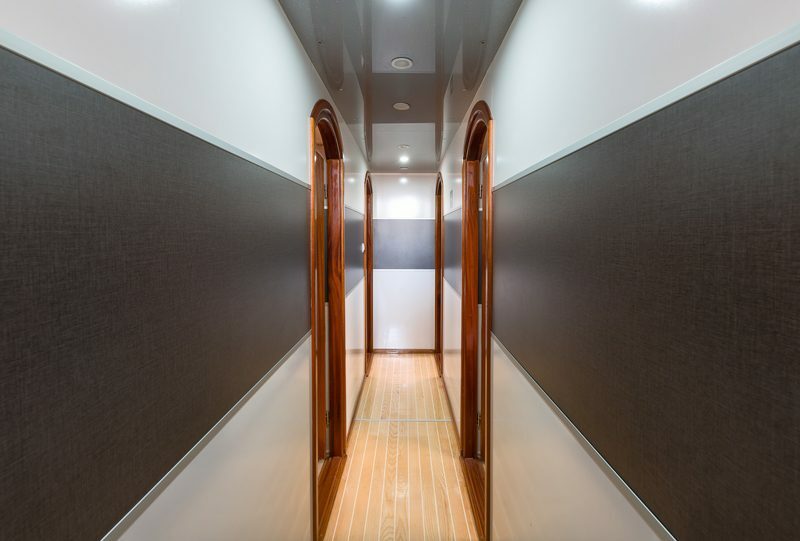 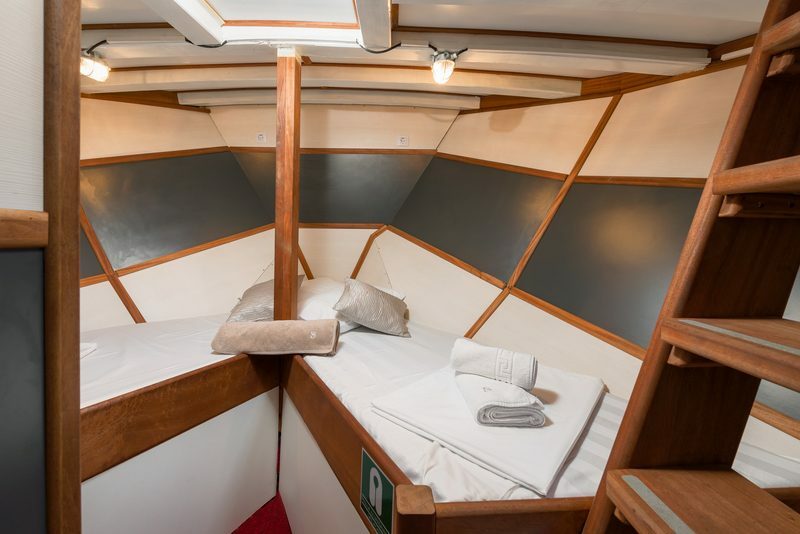 These 4 double bed cabins are adjacent to the salon whereas the twin cabin is located in the bow that has entrance from the foredeck. 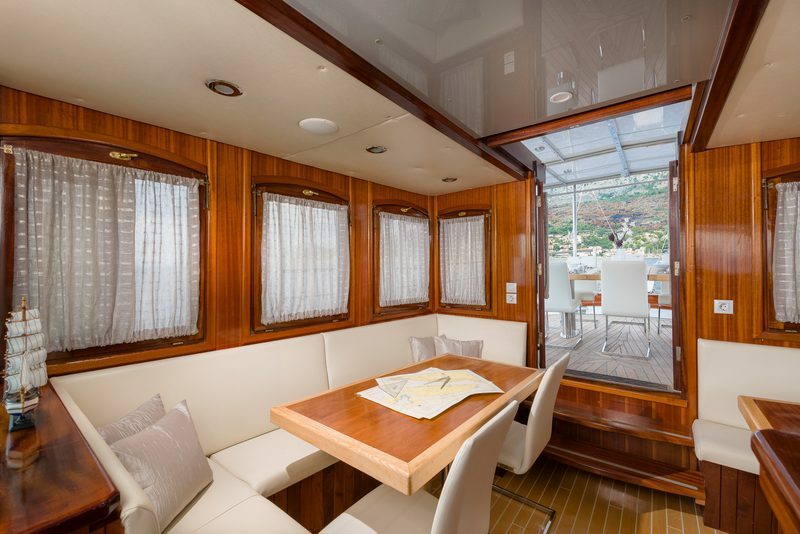 The salon is nicely furnished and bright, with TV and white upholstery. 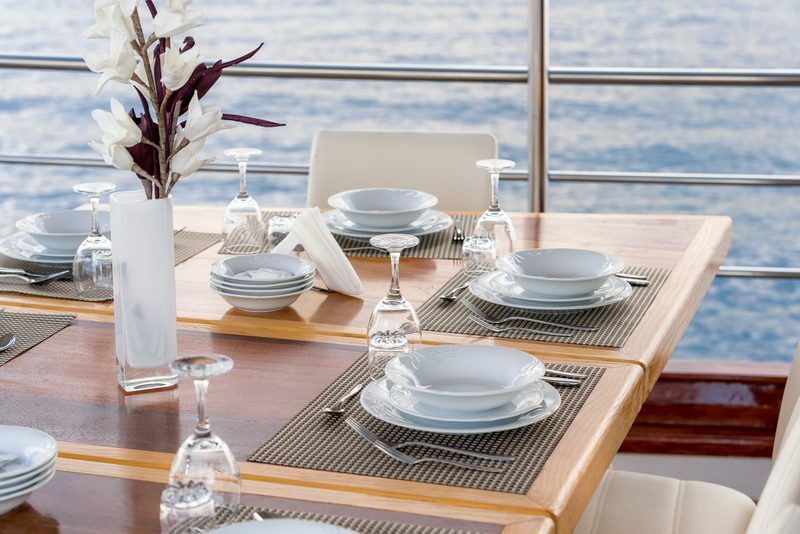 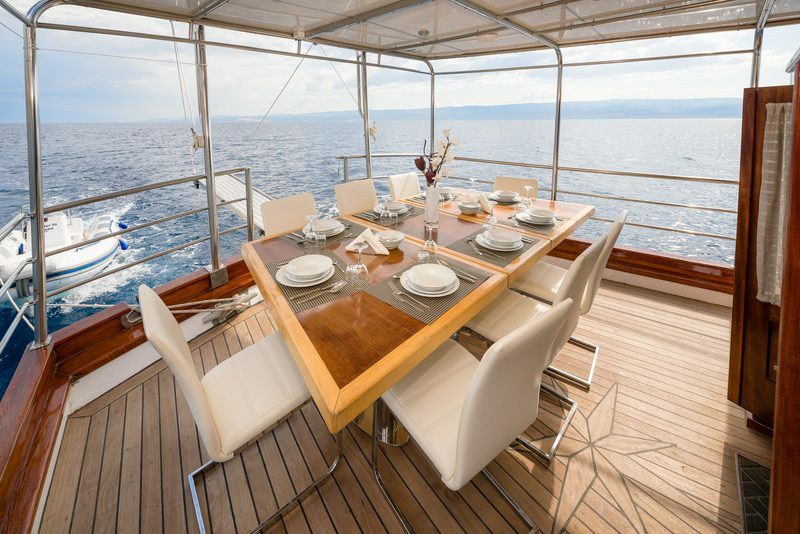 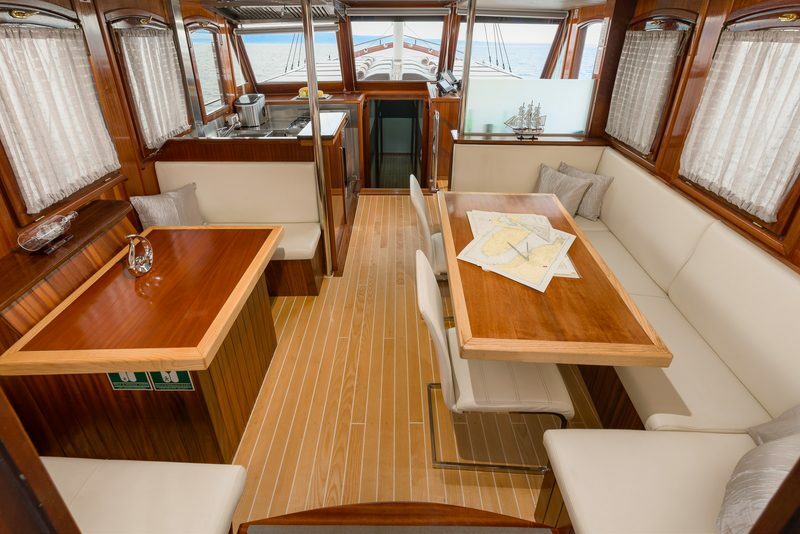 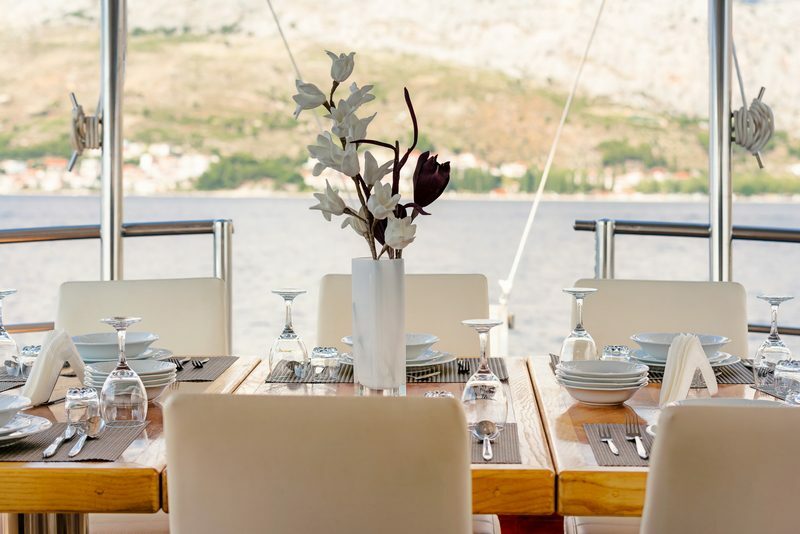 Stern deck accommodates a beautiful dining area, perfect for enjoying fresh Mediterranean meals on warm summer nights. 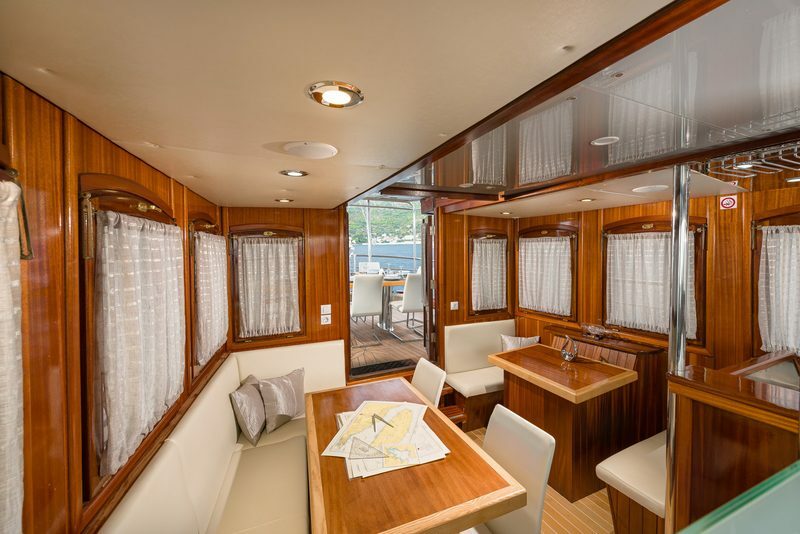 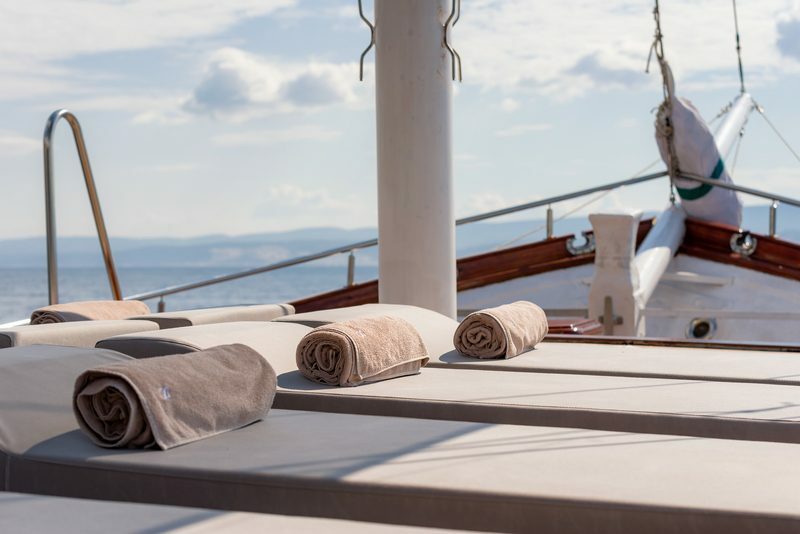 There is also a spacious sunbathing on the foredeck deck for all those who like to soak up the sun on leisure afternoons. 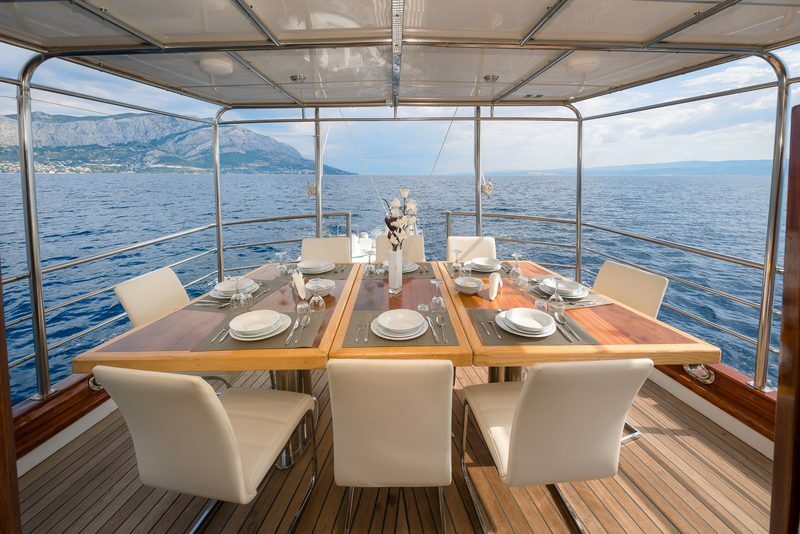 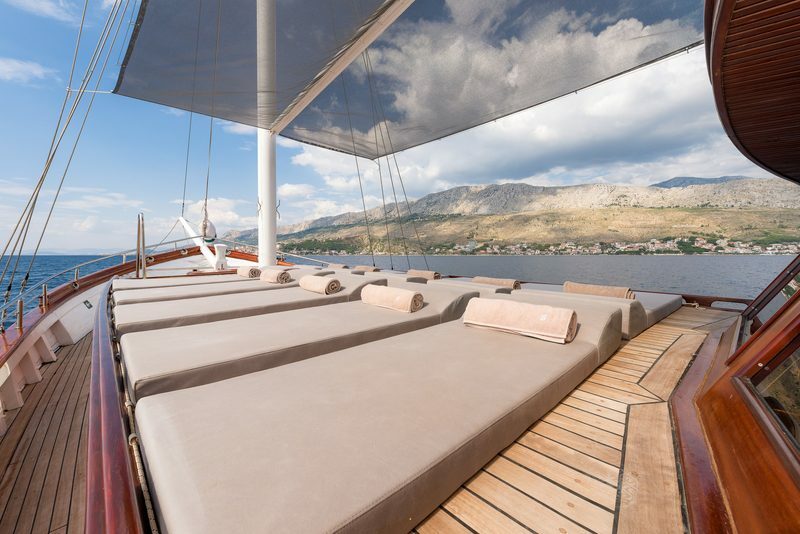 4 crew members will welcome you aboard and make sure you enjoy every moment of your holiday in Croatia. 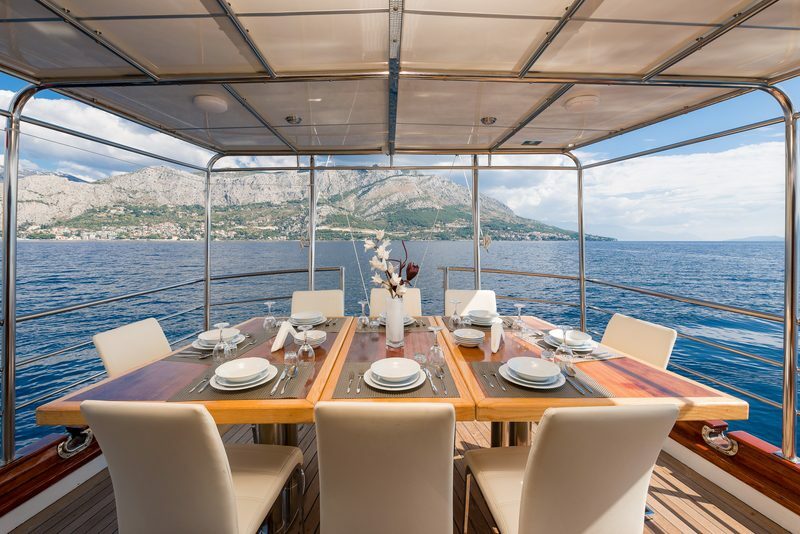 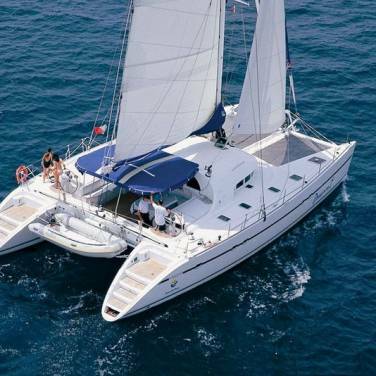 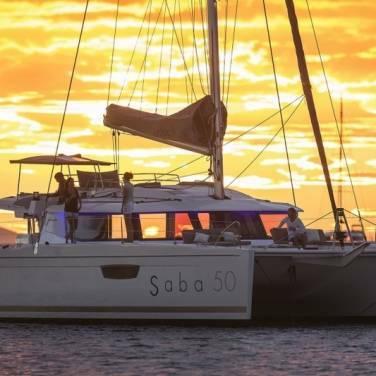 A wide choice of water toys available on board guarantees fun moments each day of your holiday whereas the sailing routes include only the very best sailing destinations on the Adriatic coast. 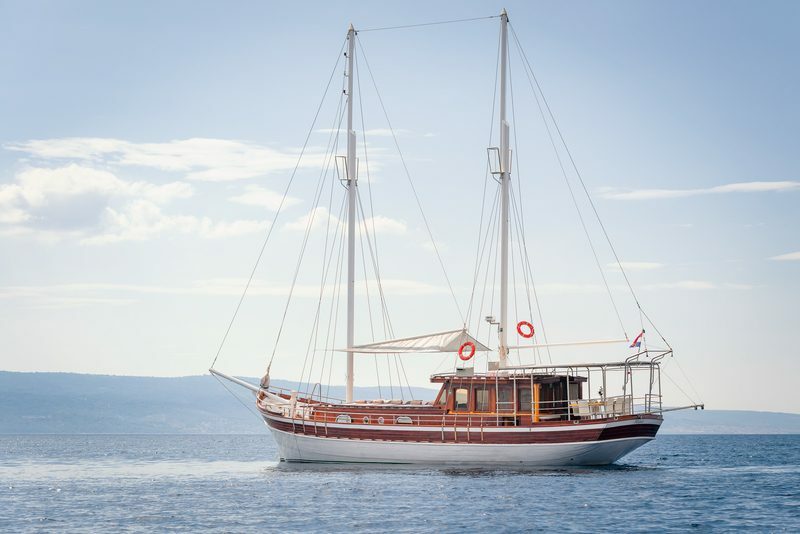 Of course, sailing itineraries may be easily adapted to the guests' preferences so should you wish to explore different sailing regions, beautiful Dalmatian islands or intact secluded beaches, with gulet Slano there will be no obstacles for experiencing the very best holiday in Croatia.